Northern Argentina. 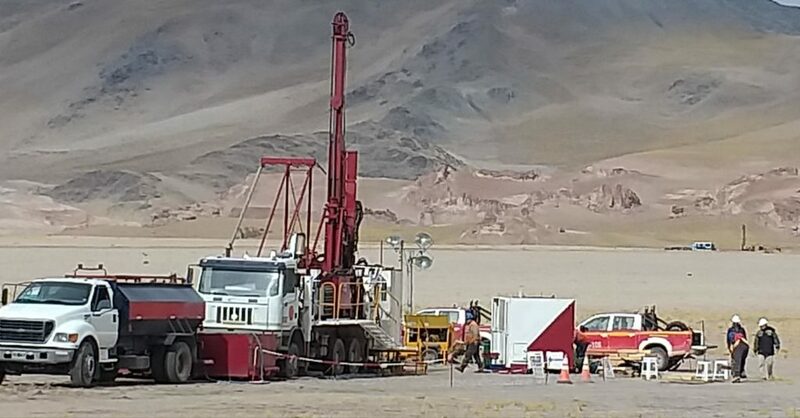 Salar de Hombre Muerto is a proven lithium producer, with Livent (NYSE. LTHM, formerly FMC) having operated the Fenix lithium operation since 1992, and Galaxy Resources (ASX.GXY, “Galaxy”) looking to develop the 100% owned Sal de Vida Project – Galaxy has recently sold part of its large Sal de Vida Resource to POSCO for US$280 million, with the funds to be put towards development of Sal de Vida. 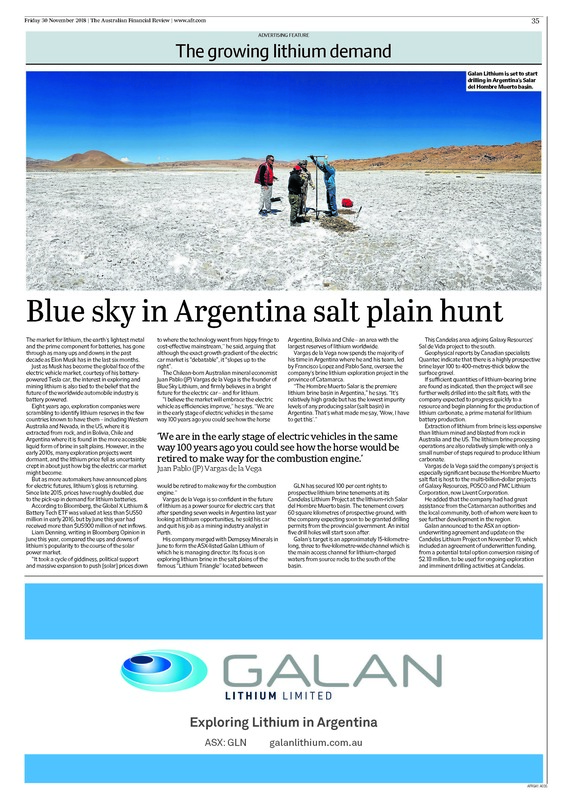 Click here to watch Galan Lithium advisor Clive Jones, review the exploration work done to date on the Hombre Muerto Lithium Brine Project in Argentina’s Catamarca province, and speaks to Proactive Investors about plans to develop the Candelas channel now that drilling permits have been granted. South America contains one of the most abundant sources of lithium in the world. In fact, two thirds of the world’s lithium reserves can be found in what is known as the ‘Lithium Triangle’, a region consisting of Chile, Bolivia and Argentina.